A traditional mortgage is also known as a conventional mortgage with a fixed interest rate. Generally, this loan will be for eighty percent of the mortgage, and you will need a down payment of twenty percent. This loan will have a term of ten, fifteen, twenty or thirty years. The payments will be the same for the life of the loan. Since your home is one of your biggest purchases, it is important to understand how a mortgage works and the different options available to you. This is the best mortgage loan for the consumer. You will lock in a rate, and have set payments. If you qualify for this loan, you are most likely in a position to afford your home. This is the biggest benefit since you will not need to worry about your payment going up due to rising interest rates. 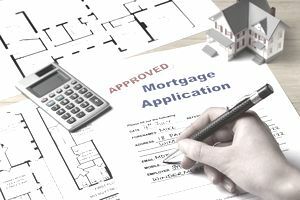 When you are looking at a traditional mortgage you may be given the opportunity to purchase points for a lower interest rate. Generally, you are going to pay for those points close to what you would save on interest. How Do I Determine the Terms of My Mortgage? If you can manage the higher payment on a fifteen-year-loan, you will be in a much better position. This will shorten the length of your loan and dramatically reduce the amount you end up paying on interest. This may mean buying a smaller home or tightening up in other areas, but over time it will benefit you greatly. You should also look at terms like early payment penalties. You may also see if you can qualify for a lower interest rate by having an automatic transfer for the mortgage. A mortgage broker should be able to offer you a variety of mortgages with different terms that you can choose. How Do I Determine How Much I Can Spend on a House? You should keep your mortgage payments at about twenty-five percent of your income. This will prevent you from becoming house poor. You should not borrow more than this, because you can make it difficult to meet your other payments as well. You may need to scale back your expectations in order to follow this rule. Saving up a good size down payment can also help you afford a nicer home since you can reduce the amount you need to borrow with the down payment. When you first buy a home, you may start out in a smaller home and plan to move up to a larger home. This can be a good plan, but you need to eventually choose the home that you plan to stay in so that you can pay your mortgage off. You should also avoid taking out a home equity loan to pay off your debts or to cash out the equity. This will extend the amount of time that you end up paying on your mortgage, and it can cause additional stress as you get closer to retirement. Try to keep your debt ratios to be between twenty-five and thirty percent of your income. Do not borrow more than you can comfortably pay each month, even if you qualify for a higher amount. How Can I Find the Best Mortgage Options? Take the time to carefully research your options, and work with a mortgage broker to find a mortgage that has the best interest options available to you. It can take additional time, but when you take out a mortgage, you want the best terms available for you since your home is such a large purchase. It does pay to take the time to evaluate all of your options. You should also be sure that you are choosing a place to live that you will enjoy for the long-term. When you buy a home, you are locking yourself in for a longer period of time than when you rent, and things may change like having children and needing a good school district. Remember to look at your interest rate, the length of the loan and whether there are prepayment penalties attached to it. Shop around or use a mortgage broker who will shop different options for you. A credit union or bank may also use a mortgage broker to give you additional options. It is important to be ready to buy a home. There are always reasons that you may want to buy a home and reasons why should wait to buy a home. If you are not financially ready to buy a home, it can quickly become a burden and going into foreclosure can affect your credit and make it difficult to buy a new one in the future. Paying off your consumer debt and creating a good budget that you can follow before you buy will make the process of purchasing a home easier and make it more likely for you to be able to continue to stay in the home. How Are a Home Equity Loan and a Second Mortgage Different?